AIM UHF Antenna Analyzer, USB Cable, and calibration loads. 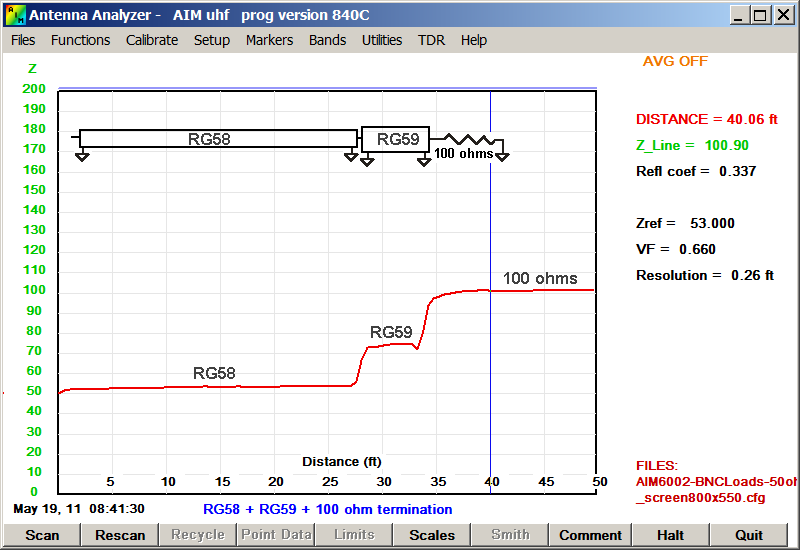 Time Domain Reflectometer (TDR) plot. How good is the TDR? the AIM I was able to dig down and locate it, within a foot of what the AIM calculated. It looks like a gopher went thru the conduit and thru part of the coax! 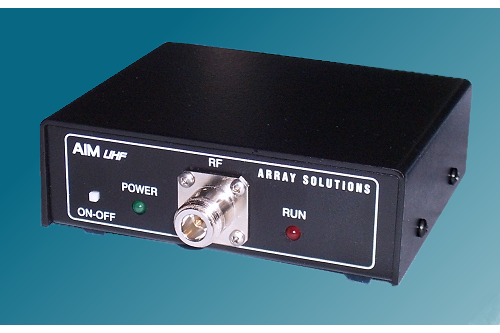 Don't forget the optional protective case for your AIM UHF analyzer. 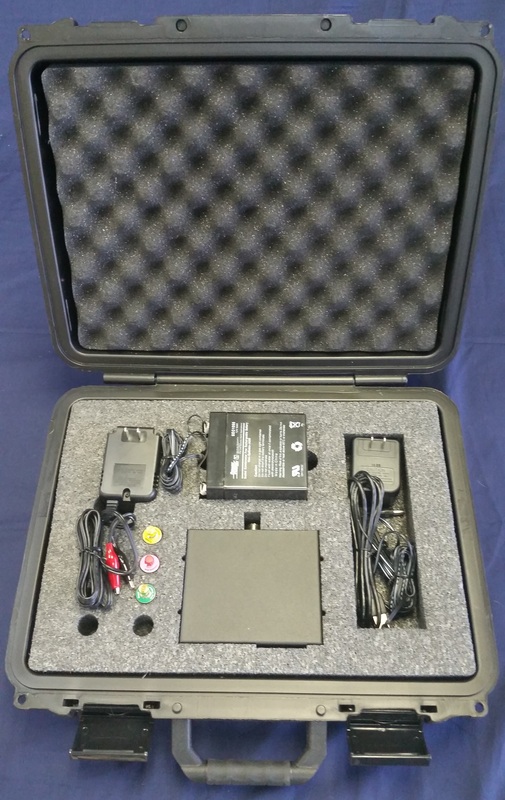 The case uses a water-jet custom cut high density foam insert in a sturdy black molded locking shell. 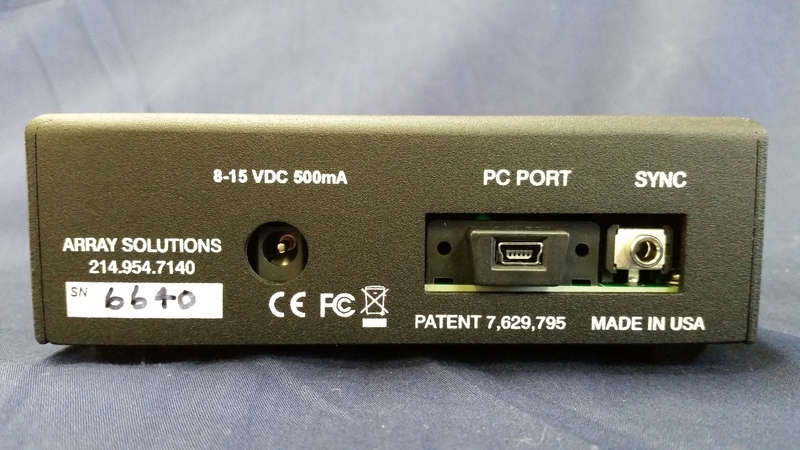 There are cutouts for your calibration loads and adapters as well as the Power Supply and the USB cable. We DO NOT ship a software CDROM with the analyzer. 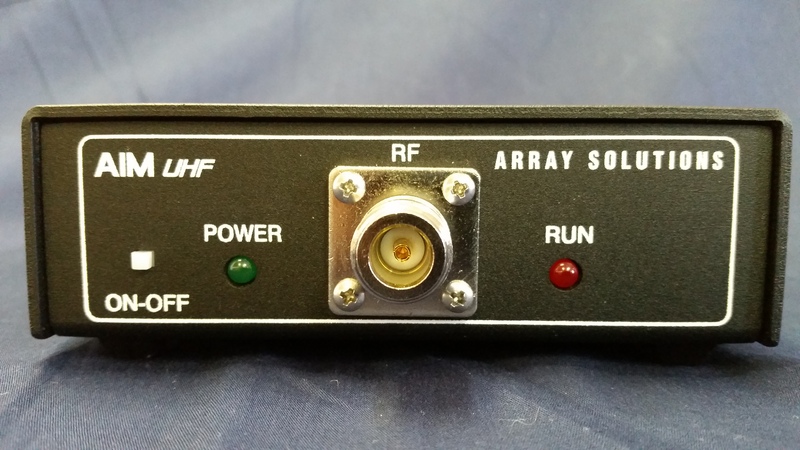 *Note: you may download the software for the AIM UHF now and it will work in "demo" mode until your AIM UHF Arrives.